J'adore Eau de Parfum is now in a precious jewel-like bottle you can take anywhere. The delicate roller pearl makes for an easy fragrance application over the neck, the wrist and the decollete, releasing the notes of the floral bouquet of J'adore with precision. A glass bead tip delivers just the right amount of fragrance right where you want it. A luxuriously sensual and fresh texture. A 20 ml. bottle you can take anywhere. 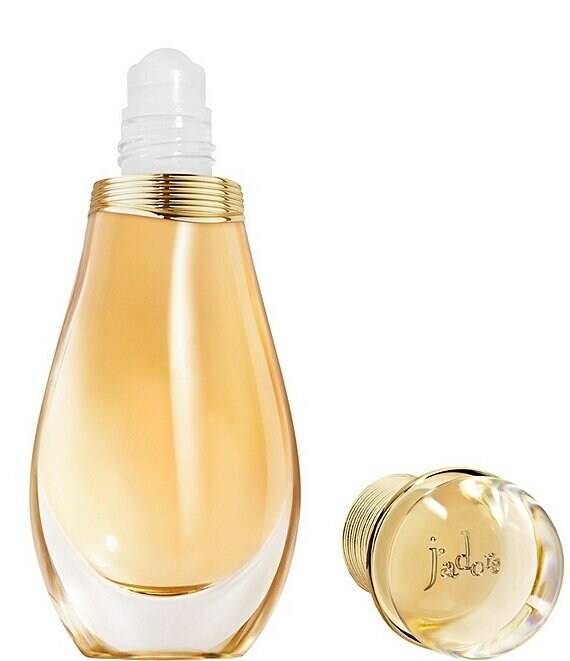 The J'adore bottle is as feminine as its fragrance. Flaunting the sensual curves of the iconic Christina Dior amphora, the roller-pearl is a precious, jewel-like travel bottle you can take anywhere. "J'adore is an extraordinary fragrance because it achieves the feat of being an original signature that easily appeals. Sensual without being too heavy. It is a composition that brings opposites together, that makes iconic floral notes into an alluring, unique and mysterious ensemble. J'adore invents a flower that doesn't exist." François Demachy, Dior Perfumer-Creator.